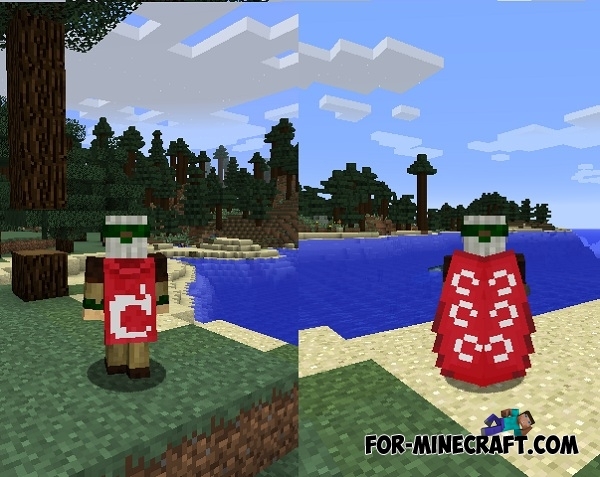 Developers can add the cape in new version of Minecraft PE 0.13.0. Very soon, this feature will be available on the PC version of the game, but Tommaso said: that this a secret function will be in PE! Jeb has written that the wings can not be crafted, you can find them only. From the 3rd person it really looks epic. Full version of Minecraft PE 0.12.1Tommaso said that the full version of 0.12.1 will be released on September 8 for Android, iOS and WP! are someone known, how to get the cape?? ?